The authors voice is enhanced by the reader. Light a great story teller who keeps you listening when ur monkey mind begins to wander I hung in and skipped other distractions to finish this. Not an easy listen but a rewarding one. Well worth reading if u find Cormac McCarthy’s early books on Audible enjoyable. 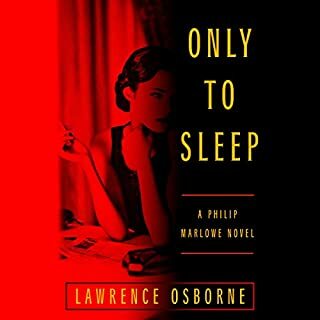 Lawrence Osborne was an excellent choice by the Chandler Foundation to resurrect Marlowe. The book succeeds at every level w a bonus of beautiful literary riffs every few pages....historically and geographically accurate...as Marlowe/Chandlers voice rings true. The eccentric gumshoe comes out of retirement in Southern CA for one last job at age 72 into a sleazy and violent world of hustlers and grifters operating on the coastal towns in Southern California and Northern Mexico. Ray Porter shines as the voice of a worldly and articulate Marlowe while deftly handling accents and pronunciations of the credible characters that appear. As a 72 year old Chandler fan who is well traveled in the Mexican locations where most of the novel’s action takes place I particular enjoyed this brilliant resurrection of my favorite private eye by one of my favorite writers. Roland Nair calls himself Scandinavian, but travels on a U.S. passport. After 10 years' absence, he returns to Freetown, the capital of Sierra Leone, to reunite with his friend Michael Adriko. They once made a lot of money here during the country's civil war, and, curious to see whether good luck will strike twice in the same place, Nair allows himself to be drawn back to a region he considers hopeless. 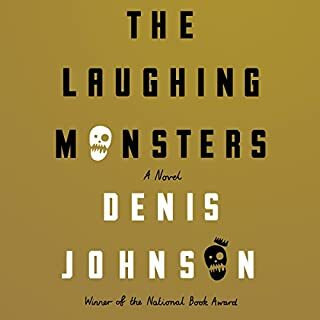 Denis Johnson (RIP) is a great writer...brilliant story teller presents a pain of rogue spies...in the Congo...bouncing around in danger that you can taste and smell...Has the requisite ultra-v going much of the time but paints some characters that one can care about...and feel for...if that makes any sense. Anyway...if you don't like it...return it. I liked the book and the reader. 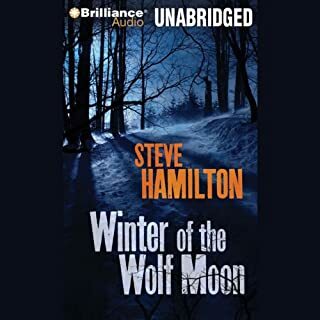 Sequel to Hamilton's award-winning first novel ( A Cold Day in Paradise), the story returns us to the small town of Paradise, Michigan where ex-Detroit police detective and reluctant private investigator, Alex McKnight, rents out small cabins to snowmobilers and tried to bury his demons under the snow he plows each day. “The Lock Artist” is a brilliant book that deserves more readers. This audible that I REALLY WANTED TO LIKE fell flat. Couldn’t tell if reader was flat or it was the material but WTFD? Normally I return books I’m not going to finish after 5-10 min. I wasted an hour w this one so it’s two stars but no return. 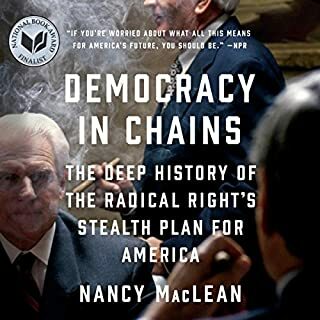 Would you consider the audio edition of Democracy in Chains to be better than the print version? Yes...because most most of us won't finish reading the book whereas the reader is good enough to keep us engaged while we're driving the car and listening. That I learned about the intellectual source for the Kochs, Mercers and fellow billionaires takeover of the US government in 2016. And It's not Ayn Rand or Horatio Alger. It's John C. Calhoun from the early 19th century and a unknown academic who formulated a strategy to obstruct integration in the 1950s. The conspiratorial stealth thesis sounds nutty until you listen to it and keep in mind that the relentless greed of the very wealthy is a bottomless tar pit for the rest of us. Reader doesn't annoy or distract with character voicing. The fact that a county in Virginia closed public schools for five years (1959-1964) to avoid integrating schools resulting in no schools for black students. Advice to the listener...Don't be afraid to learn the truth...but don't expect it to set you free. In the late 1800s, the city of Austin, Texas, was on the cusp of emerging from an isolated western outpost into a truly cosmopolitan metropolis. But beginning in December 1884, Austin was terrorized by someone equally as vicious and, in some ways, far more diabolical than London's infamous Jack the Ripper. 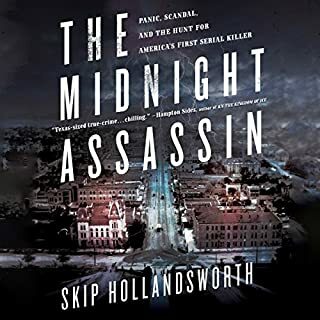 For almost exactly one year, the Midnight Assassin crisscrossed the entire city, striking on moonlit nights, using axes, knives, and long steel rods to rip apart women from every race and class. If you could sum up The Midnight Assassin in three words, what would they be? What other book might you compare The Midnight Assassin to and why? What about Clint Jordan’s performance did you like? What made the experience of listening to Hell and Good Company the most enjoyable? 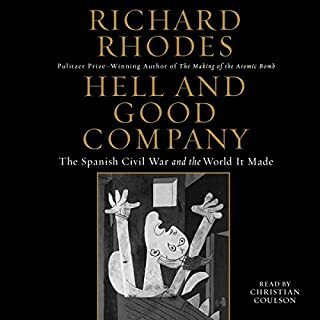 What was one of the most memorable moments of Hell and Good Company? What about Christian Coulson’s performance did you like? Consistent energy and voice who handles the Spanish accents quite well. 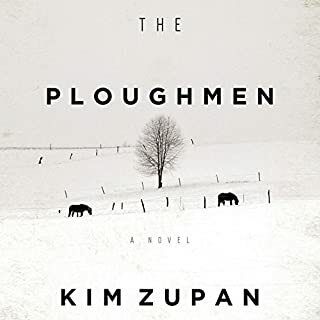 I still find reading about this intense civil war to be paintful and exciting to a degree that I appreciated taking R & R.
A young man's father, close to death, reveals to his son the true story of his grandfather's death, or at least the truth as he knows it. The mean old gaucho was murdered by some fellow villagers in Garopaba, a sleepy town on the Atlantic now famous for its surfing and fishing. It was almost an execution, vigilante style. Or so the story goes. 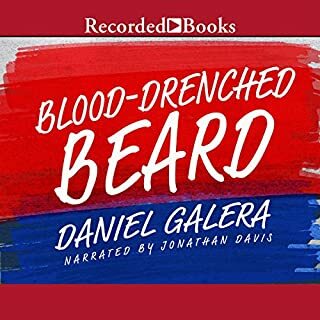 Would you listen to Blood-Drenched Beard again? Why? 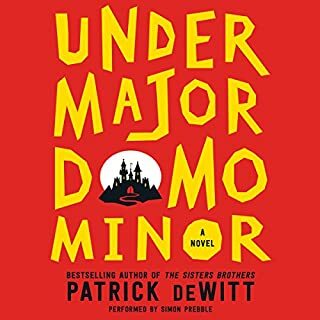 I could listen to this again in a few years...one of my favorite readers does a great job with a great story that keeps one's attention from beginning to end. What was one of the most memorable moments of Blood-Drenched Beard? When the character meets a particular family member...in a nightmarish scene. If you could rename Blood-Drenched Beard, what would you call it? 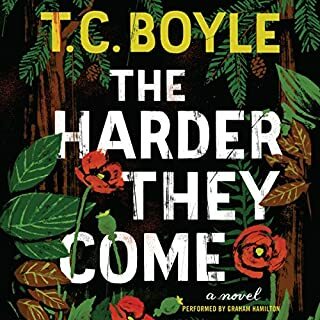 Set in contemporary Northern California, The Harder They Come explores the volatile connections between three damaged people - an aging ex-marine and Vietnam veteran, his psychologically unstable son, and the son's paranoid, much older lover - as they careen toward an explosive confrontation. Definitely...if I had any friends...No...I'd recommend it because it begins intense and stays intense until the end...that's entertainment, no? It's a dense book...that can't be swallowed whole...unless you have a collapsible brain!